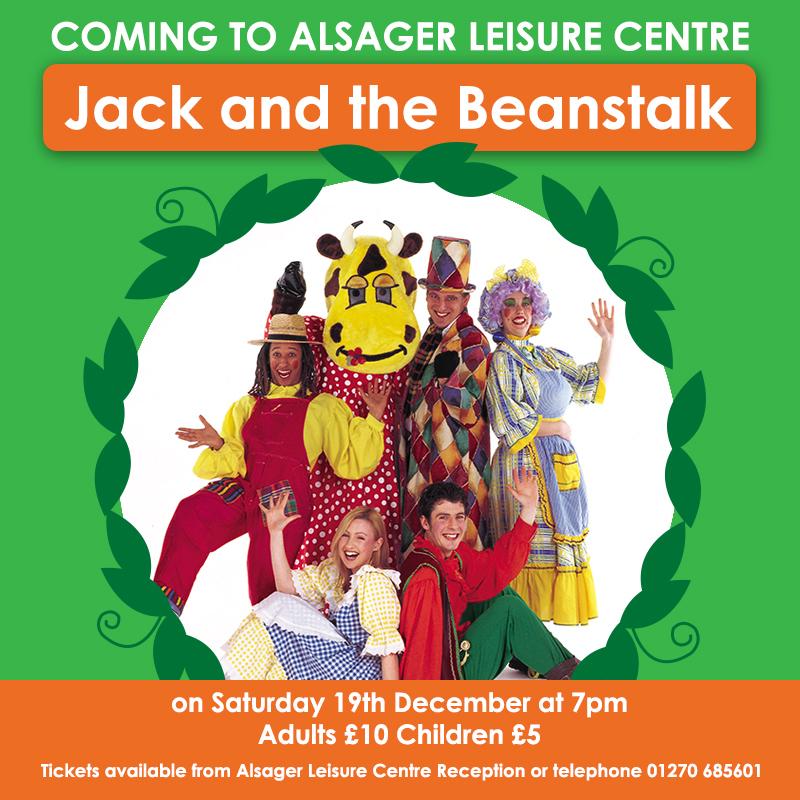 JACK AND THE BEANSTALK COMES TO ALSAGER! Coming to Alsager Leisure Centre this December is the pantomime production of Jack and the Beanstalk. Tickets are now on sale at reception!